Compare to Uline S-9988 and Save! Just insert merchandise into these 9.5 inch x 14.5 inch Bubble Mailer Envelopes, pull away the protective covering to expose the adhesive strip and Self Seal the Kraft Bubble Mailer Enveleope. Made exactly like the kraft bubble mailers, except these envelopes have the convenience of a self-seal lip. 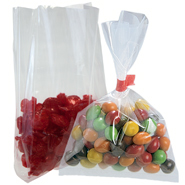 These mailers feature a 3/16" high slip bubble lining for easy insertion of contents or product. The pell and stick lip provides a secure, yamper evident closure everytime. 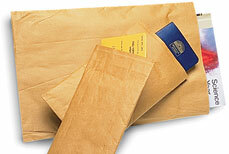 The recycled golden kraft paper exterior helps avoid using virgin material. No tape, heat sealer or staples required to close these mailers. Custom Printing Available.